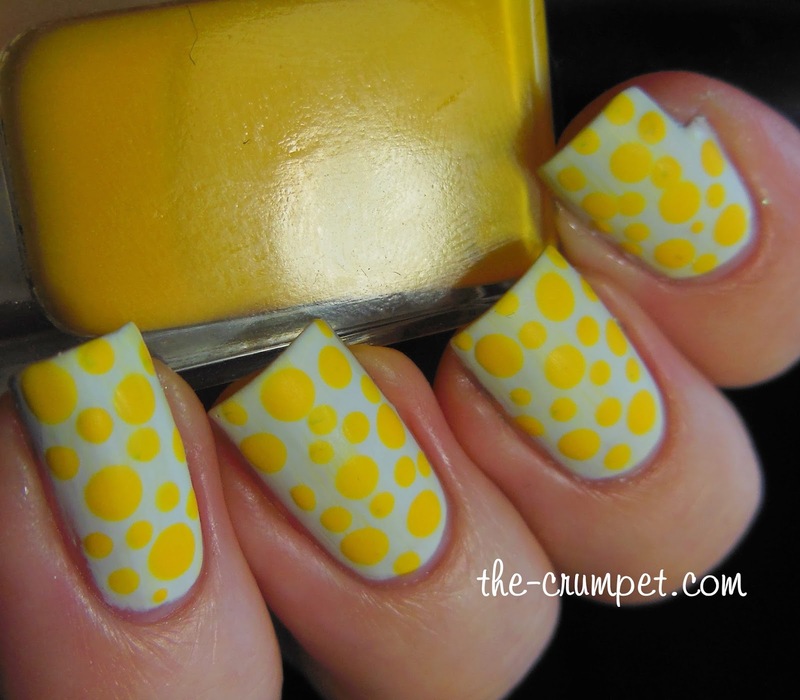 I'm determined to do all of the GOT Polish challenge this time around, even if this week was the heinous YELLOW. 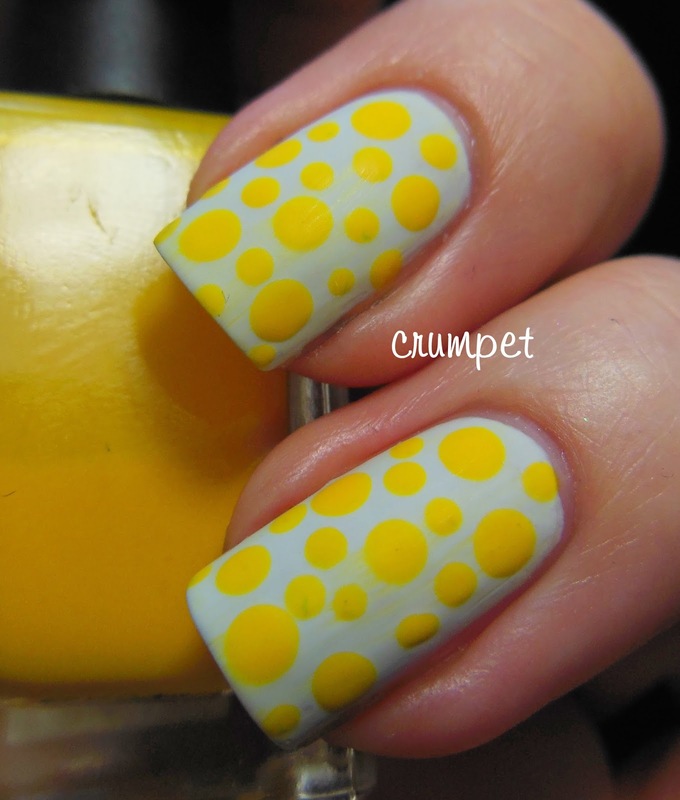 I probably only have 5 yellow polishes, all of them purchased purely for nail art. 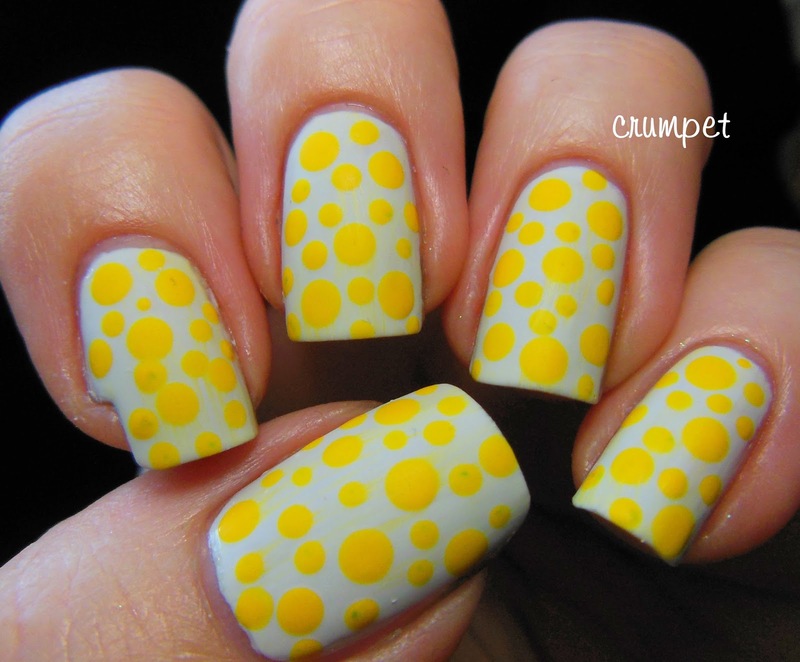 Yellow manis really do make me shudder. 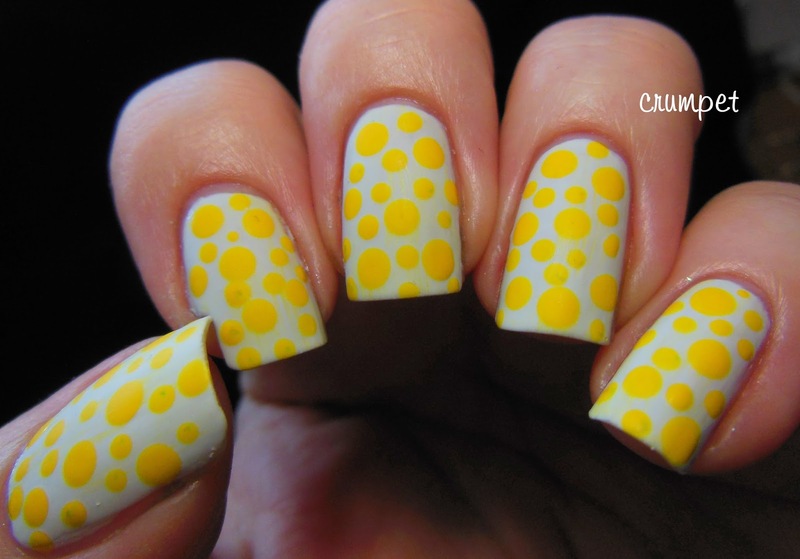 Don't get me wrong, on some skin tones (usually darker ones) they *can* look awesome, but I prefer yellow as an accent or as part of the whole. 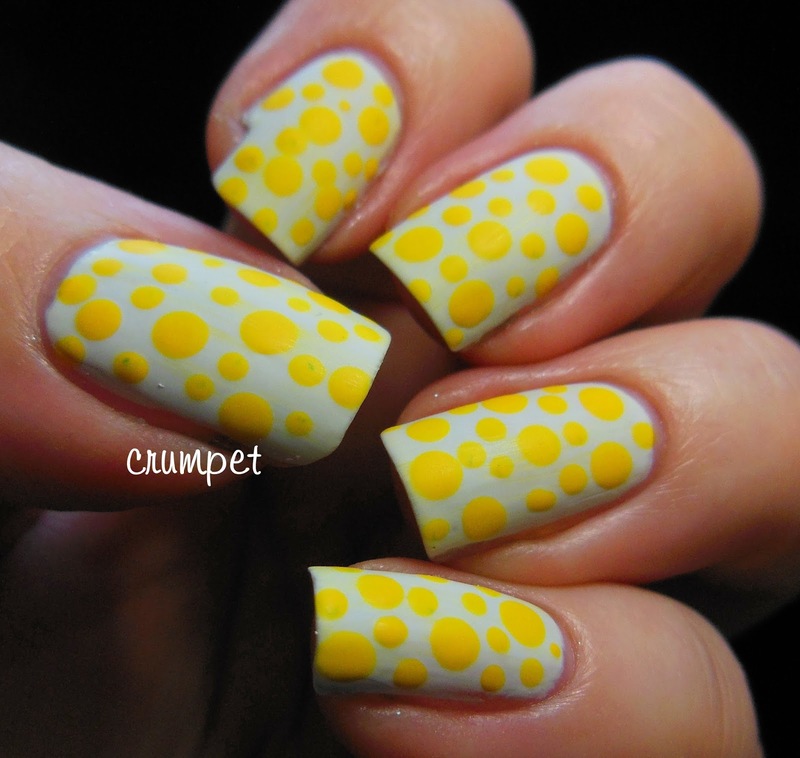 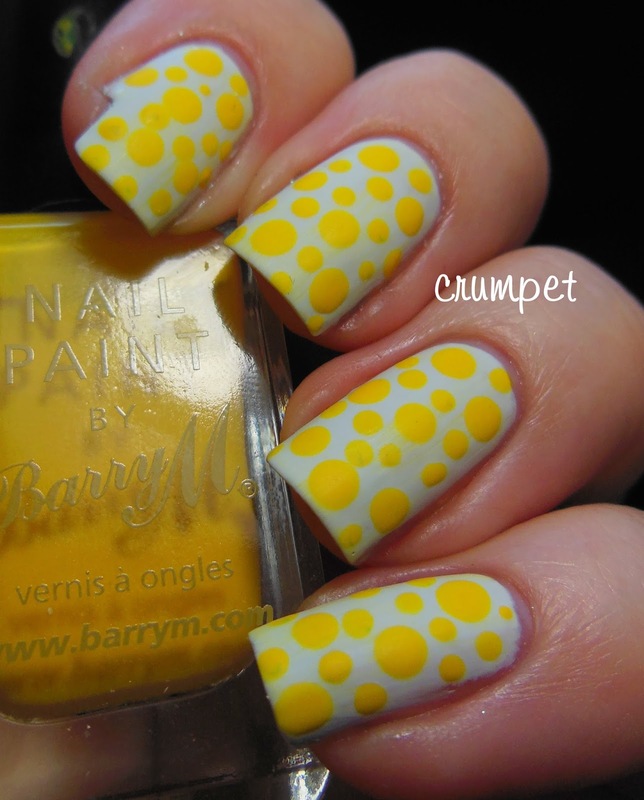 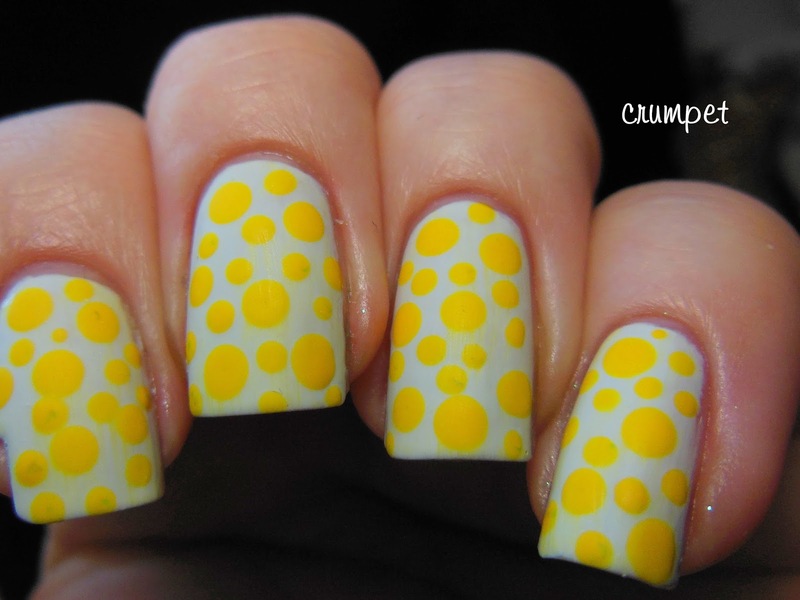 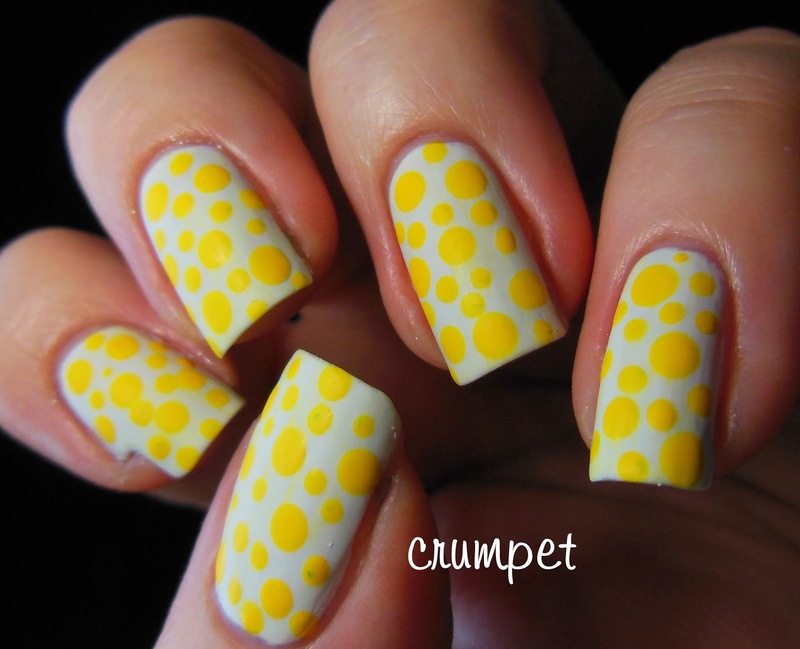 So here we have one of my 2 staple yellows, Barry M Yellow (the other is OPI The It Color), dotted on a base of OPI MBSW and then matted.